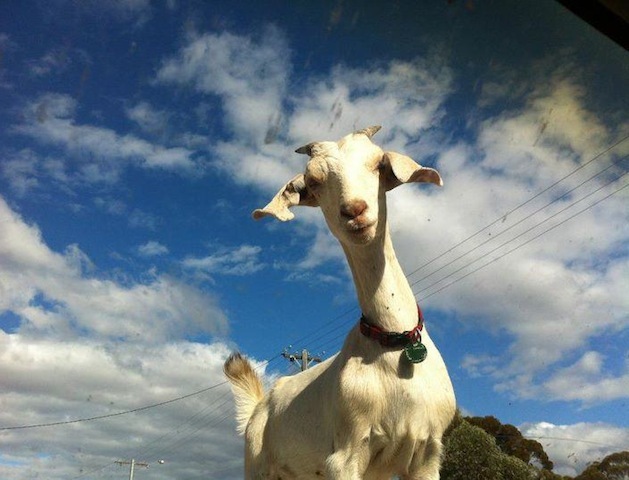 In August 2012, Gary the goat was arrested by Aussie police after being caught munching flowers outside Sydney’s Museum of Contemporary Art. His owner, James Dezarnaulds opted to go to court to clear his beloved pet’s name rather than pay the fine police had handed him. Gary wasn’t allowed in the dock but he had his own lawyer who persuaded the judge that authorities had to be kidding if they really thought Gary was a wrongun who deserved to be behind baaaaas. The fine was cancelled and James went out to share the good news. ‘Gary taught the cops a valuable lesson… don’t bite off more than you can chew,’ he told reporters. The cat population of Pitea, Sweden, were being terrorised and the culprit was fat, fierce and furry. 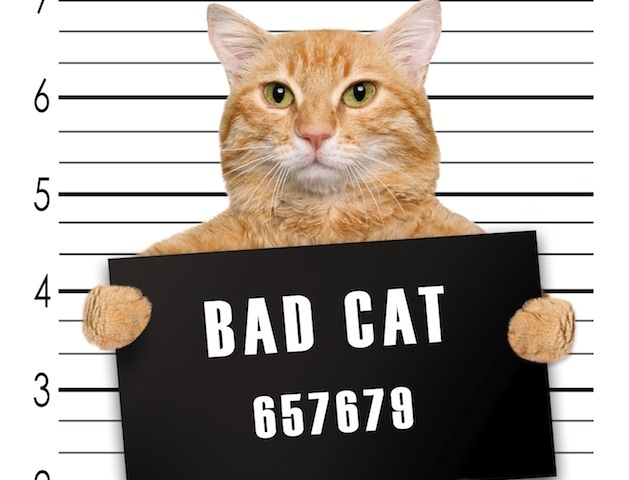 The feline felon was upsetting local cats by scoffing their food and scaring them in their own homes. Things got so bad that in September 2013, one family laid a trap to catch the bully, before calling the police who took the porky puss into custody. ‘It is a fat, well-groomed and well-cared for cat – it’s no stray cat,’ said police officer Erik Kummu, calling for the animal’s owners claim him. And if they didn’t?  The death penalty! If no-one came forward, the cat would be put down. Thankfully after one night in jail, Oscar, as he was now known, was collected by his owner. Saved… by a whisker. When Columbian police swooped on a powerful drug cartel, they soon found the reason why the criminals had evaded capture so long. 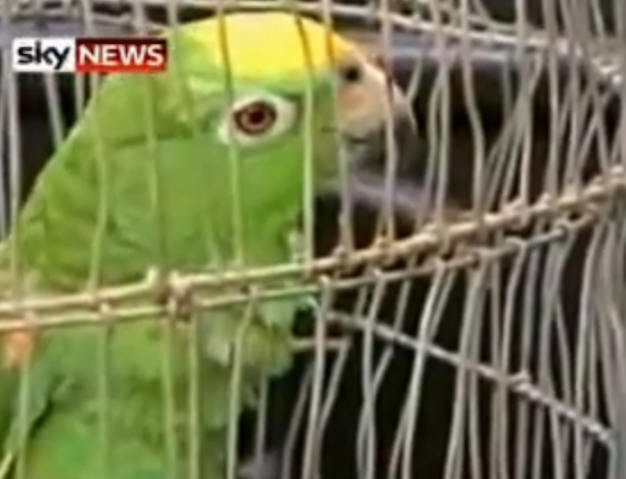 They had a lookout in the form of a parrot named Lorenzo, who’d squawk the warning ‘run, run’ whenever law enforcement came close. ‘You could say he was some sort of watch bird,’ police officer Hollman Oliveira said. But this time Lorenzo’s warning was no use to the bad guys. Police managed to seize more than two-hundred weapons and a large quantity of marijuana in the 2010 raid. A number of human arrests were made and Lorenzo and two other jailbirds were also caged. 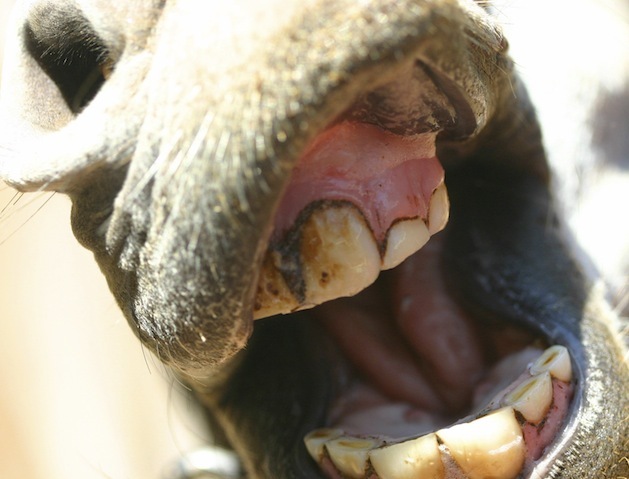 It took six police officers to restrain a donkey in the Chiapas state of Mexico after it went on a rampage in May 2008. The jackass kicked off, biting a 63-year-old man on the chest, then kicking his 52-year-old friend who’d come to the rescue, breaking his ankle. The bad-tempered burro was then taken to a cell that normally holds people who have been arrested for public drunkenness and kept there until his owner agreed to pay the victims’ medical bills. We wonder if, after he’d cooled down, the donkey realised eeyore to know better..? 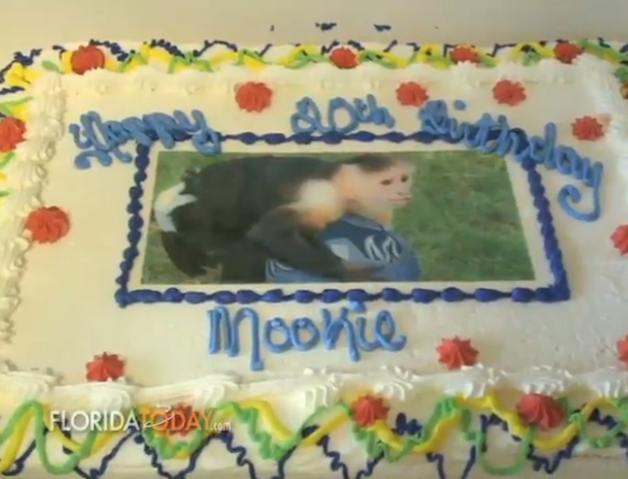 Just weeks away from celebrating his 20th birthday, the previously law-abiding Mookie the Capuchin monkey lost his temper and was handed a 30-day stint behind bars. His crime? Biting a man who’d stopped to stroke him outside a shop in Florida. The incident in October 2012 was his first offence. His owner Brad Berman protested the decision, citing Mookie’s previous good character and saying he’d warned the victim to be careful. He hadn’t been badly hurt. It seemed Brad felt it was bananas that he wasn’t allowed to ap-peal.